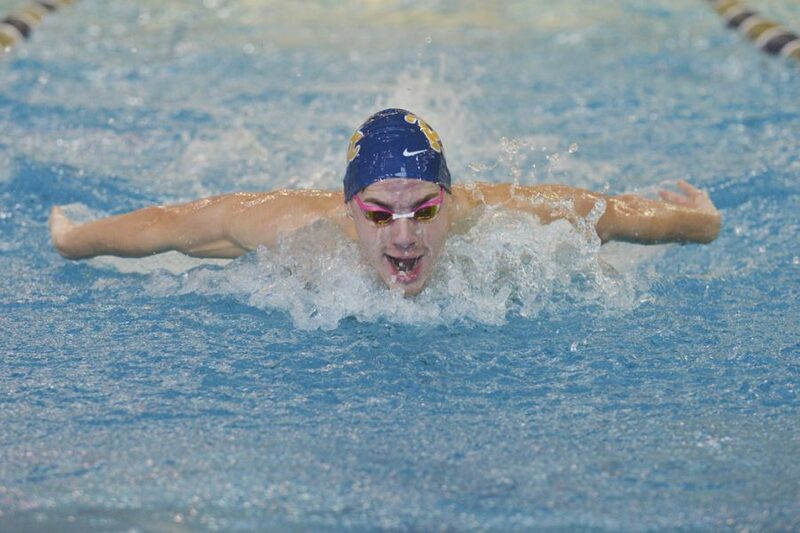 First-year swimmer Eben Vorster is a mid-year addition to the Pitt men’s swimming and diving team from Bloemfontein, South Africa. Judging by the immediate impact he’s had with the Panthers, he’s still inside his comfort zone at Trees Pool, as Vorster has taken home multiple individual titles at each of his first three events with Pitt. In his debut meet with the Panthers against West Virginia Jan. 7, Vorster captured first place in all four races he competed in — the 100 fly, 200 fly, 200 individual medley and 400 free relay — earning ACC Swimmer of the Week honors in the process. He followed that up with a pair of wins in the 200 fly and 400 IM at Pitt’s meet against No. 18 Florida State one week later. Vorster then added three more victorious swims in the 100 fly, 200 IM and 400 free relay Jan. 21 against No. 17 Ohio State. 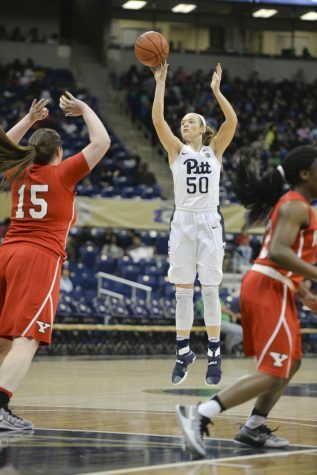 In her first year at Pitt, Brenna Wise led the women’s basketball team with 10.7 points and 7.6 rebounds per game. The sophomore forward is doing it again this season, averaging a team-leading 14.1 points and 6.9 boards per contest. Her strong play has continued into the team’s conference schedule. Wise helped guide the Panthers to back-to-back ACC wins in the last two weeks to improve their record to 3-3 in conference play. Wise has scored at least 15 points three times in January, but she put an exclamation point on her stellar month with a career-best performance Sunday afternoon in Pitt’s 62-54 win against the Virginia Cavaliers. The 6-foot forward tallied a career-high 26 points on just 11 shots while converting all 11 attempts from the free-throw line. Her corner 3-pointer sparked the Panthers’ fourth-quarter comeback, which she finished off by scoring the team’s final seven points.